90 Day Fiance’s Natalie Crawford pulled no punches when dishing on Ashley Martson and Jay Smith in a chat with YouTuber Auntie’s Advice. She spilled all the tea fans want to know – and more. There has been a lot of speculation regarding what’s true and what’s not when it comes to Ashley and Jay’s storyline. Natalie went in on the former couple and left it all out in the open for eager fans to consume. What scathing details did Natalie reveal? First, Natalie says that she, Jay Smith, Ashley Martson and others concocted a plot to interrupt the fake wedding in Las Vegas for drama. In reality, the couple legally married a week before in Pennsylvania because of the 90 day timeline. Natalie told Auntie that Ashley reached out to her about going to Vegas – after the infamous scooter incident. That 90 Day Fiance scene inspired a ream of memes – and Natalie revealed a month passed between the scooter drive-off and Ashley inviting her over. Further, Natalie said: “We went over to their house and this is when they approached us with the fact that they were going to Vegas”. She said they told them they were eloping and asked them to “crash their wedding” to make a big scene for the show. Natalie and Ashley planned an argument for a scene at Ashley Martson’s bridal shower and production was in on it. She said what began as a fake beef to boost ratings ultimately led to the end of their real-life friendship. Natalie revealed that the production company was directing the bridal shower scene and it got under Ashley’s skin because of how 90 Day Fiance was controlling the “reality” scene. What Else Was Faked for 90 Day Fiance? This interview brings up some valid points. If Ashley Martson and her Jamaican husband faked things before as Natalie Crawford alleged, what other storylines have they cooked up? Auntie questioned the timeline of events on more than one occasion during the interview (see and listen below). For instance, as fans know, 90 Day Fiance Ashley Martson was in the hospital recently. She said she was in a lupus crisis and in kidney failure. A friend started a GoFundMe and then, with no updates to donors, she was spotted out with Jay Smith at a party – not in a sickbed. Natalie Crawford also said she has a ton of pics on her phone of her, her fiance, Jay Smith, and Ashley partying in Vegas when the pair eloped for their third and final (but still fake) wedding. Despite this, the TLC cameras and Ashley’s narrative claimed she was all alone and had no one there with her at the ceremony. During the interview, Auntie pulled up a picture on her phone of Ashley dolled up talking about her makeup artist. Auntie questioned how Ashley affords a makeup artist when she ran a GFM campaign to pay her bills. 90 Day Fiance sources send the YouTube host inside info. These people are eager to spill dirt. 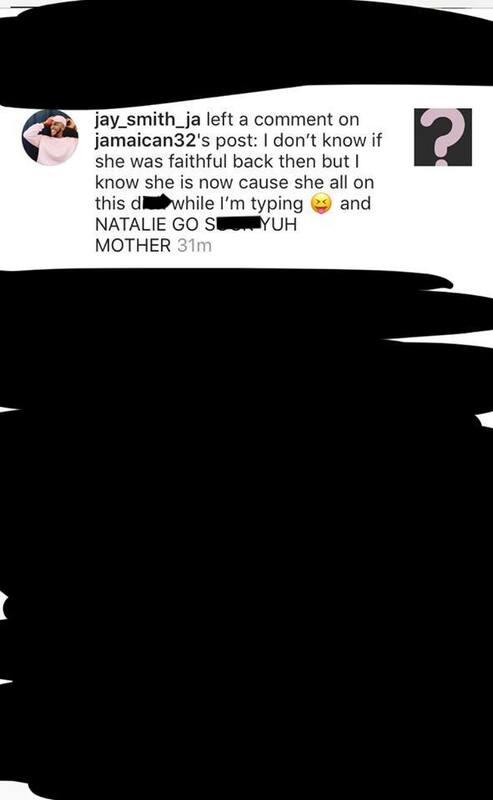 Auntie asked Natalie to confirm some of what her sources revealed. Auntie revealed that Natalie Crawford got a restraining order against Ashley. She seemingly confirmed saying to the host: “you don’t miss a beat”. Auntie also got Natalie to confirm that Ashley had been planning a GoFundMe for a while. The source said Ashley was inspired by Selena Gomez, another lupus sufferer, and was reportedly the subject of texts from Ashley Martson sent to Auntie’s source weeks ago. Auntie also alleged that Ashley Martson wasn’t hospitalized for days as it seemed from her pics. The source told Auntie she did a couple of in-and-out ER visits to take photos and video. Natalie Crawford said she “heard the same thing” and it’s the word going around among their shared circle of contacts. Of course, Auntie made sure to specify all this is “alleged” but showed lots of pics and receipts. There’s so much more – so be sure to check out the entire interview above with Natalie Crawford on Auntie’s Advice. Check back with Soap Dirt for more 90 Day Fiance news and leaks.